Post the implementation of RERA, the booming property sector of Chennai has led to many families flocking to the paradise destination to fulfill their real estate dreams. Apart from slashed prices, suburban neighborhoods also provide the benefit of pollution-free living, away from the hustling noises of the city. However, choosing the right locality is one of the many challenges people face when searching for a new home. One suburban area that is slowly gaining prominence among home buyers and investors alike is Thaiyur. Thaiyur is located in the Kanchipuram district and is just off OMR (Old Mahabalipuram Road). Its strategic location offers close proximity to renowned IT parks, reputed educational institutes and well-established multi-specialty hospitals. Apart from these amenities, the flawless infrastructure and tranquil environment offered by Thaiyur has made it a fast-growing real estate hub in Chennai. Chennai’s economy is driven by major sectors such as IT, which enables services and telecom. These sectors have already set up their headquarters in OMR, leading to the region being called the IT hub of Chennai. There is no doubt that a booming IT sector directly impacts the real estate of the locality and OMR is the leading example of this notion. 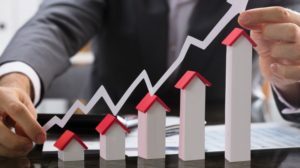 The increase in job opportunities and attempt to maintain work-life balance has led to many potential home buyers consider OMR and other suburban areas to build their dream homes and Thaiyur checks all boxes in the bargain. The upcoming area of Thaiyur is the best investment option for home buyers and property developers. Due to its convenient location, the real estate sector in this region is guaranteed to appreciate over the approaching years. Whether you are an NRI looking for investment options or an IT professional looking for plots to construct your dream home, Thaiyur should definitely top your check list. If you are looking for the best residential plots in Thaiyur to invest in, make sure you consider the Loftline residential plots by House of Hiranandani. This township is located in one of the best areas and the strategic location of the property ensures easy access to some of the top educational institutions, offices, and hospitals around. From tree-lined blacktop road and proper water supply network to street lighting and power supply, the plots are equipped with all the basic amenities you will need for hassle-free living. 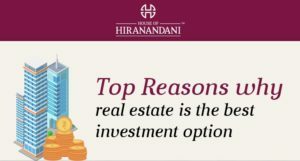 The House of Hiranandani loftline residential plots are lucratively priced, making now the best time to invest. House of Hiranandani is one of India’s most reputed builders with residential apartments and villas constructed in major cities in India. Hurry and contact us to get your dream home today!